Situated off the west coast of Morocco and open to North Atlantic swells, the volcanic island of Lanzarote could have been designed with surfers in mind. From October to April powerful ground swells unleash their power on the many world-class reef breaks located on the north west/east coastline. For the rest of the year the waves are more manageable and the beach breaks provide consistent fun waves ideal for beginners and intermediates. This combined with the semi-arid, dry desert climate, hardly any rainfall plus relatively balmy water temps earns it a reputation for being one Europes top surfing destinations. NB: Below is only a small selection of the Surfing Holidays we offer in Lanzarote. Therefore please contact the ZOCO team directly for a tailormade holiday, the latest prices and discounts. Tailormade Surfing Courses in unspoiled fishing village of Famara with Surf Lessons at the only ISA Accredited Surf School outside of UK. Combine the exhilaration of Surfing with the relaxation of Yoga in an area of unspoilt natural beauty. Beachfront surf house accommodation in Playa Famara combined with ISA Surf coaching and profesional Yoga sessions tailored to your needs. Great village Based Surf Camp where you Learn to Surf or improve your surfing at Oneil Sponsored Surf Academy . Sociable shared/private Apartments and shared Surf house in the legendary surfing area of Famara very closed to the beach. This is a multi-adventure trip where you get an introduction to both kiteboarding and surfing. With 1 or 2 week options available, you can be sure to get the best of both worlds. If you want to put together your own Lanzarote surfing holiday, then just let us know what you’re after. We can offer you accommodation, equipment hire, car hire, tuition & all the info. you need. NEW: Special offer for surf clubs, check it out here: Zoco Surf Clubs offer. Situated off the west coast of Morocco and open to North Atlantic swells, Lanzarote could have been designed with surfers in mind. The volcanic nature of the islands has produced world class lava reefs which is why it’s earned it’s reputation as the “Hawaii of Europe”. Lanzarote and the outer islands has something to offer everyone from short and hollow to long and mellow, it’s got it all.La Santa has a deserved reputation as one of Europe’s hotspots. With six lava reef breaks in between the villages of La Santa and Caleta de Caballo there’s usually a quality wave somewhere during the winter season. Wave types range from fun through heaving tubes to open ocean peaks. It can be crowded, there are heavy locals who demand respect at some breaks and the rocks and sea urchins can make life difficult. However, if you get this stretch on you’ll be STOKED! 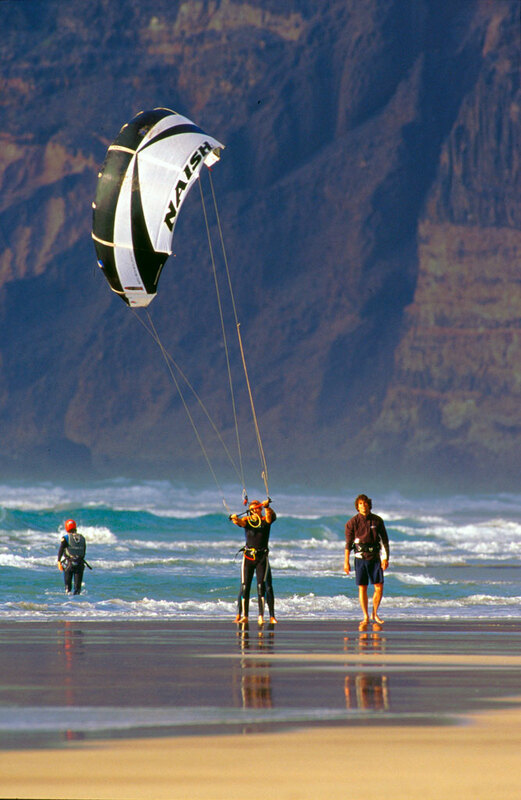 The Playa Famara region is a good training ground for beginners and intermediates. It’s a long natural beach situated in a large protected bay which has numerous peaks that work on different swell, tide and wind conditions. The mellow nature of the waves in certain parts provide a safe environment to learn how to surf. However there are other peaks that offer more challenging conditions for intermediates and experienced surfers. The local vibe is good and crowding is not generally a problem as there is always an empty peak further down the bay. WHAT’S ON OFFER & WHO’S IT FOR?The ‘Lanzarote Surf Experience’ is located on the north west coast of the island in the small but beautifully formed fishing village of La Caleta de Famara overlooking the bay of Playa Famara and protected by the ‘Los Riscos’ cliffs. 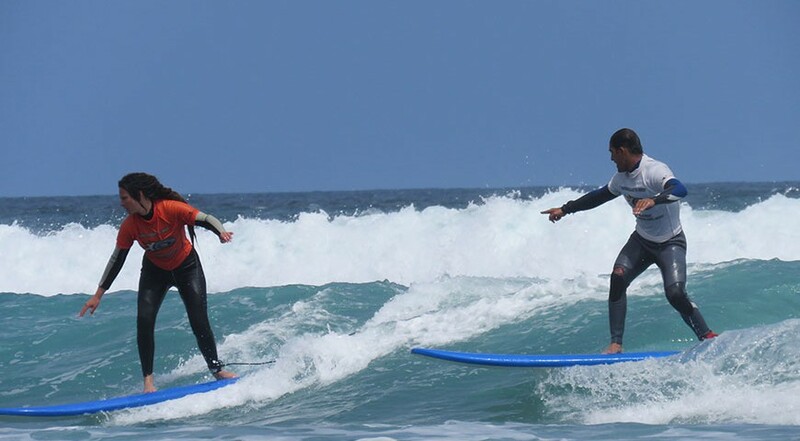 The Surf Camp in Lanzarote is a great base for people who want to immerse themselves in the surf travel lifestyle and learn how to surf or perfect their surfing techniques with likeminded people. The Surf Camp has a friendly chilled vibe and is ideal for single travellers. The long established Canarian Surf School has perfected it’s Surf Tuition programme over the years, it employs ISA qualified Surf Instrcutors and has the widest range of surf equipment all from leading surf brands. 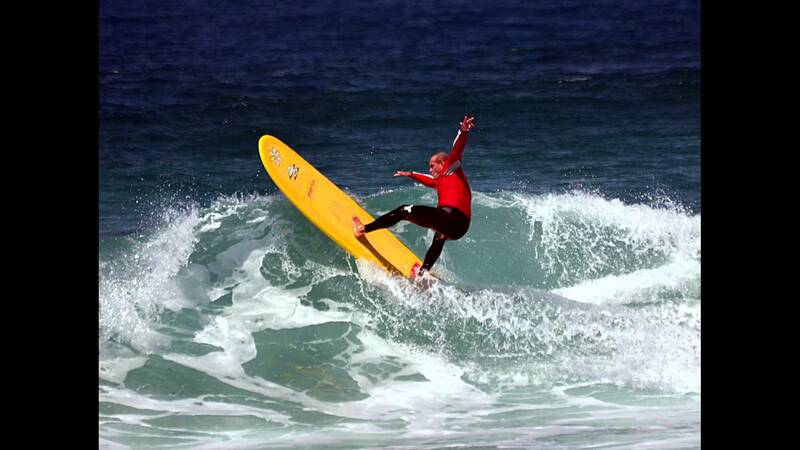 The Lanzarote Surf Clinics are ideal if the main focus of your holiday is your surfing tuition. This clinic is run by a ISA level 2 instructor and is a fully accredited ISA surf school. Guests at the surf clinic get a choice of private accommodation and free car hire. The Lanzarote Longboard Clinics are specifically designed for longboarders and the tuition is aimed at helping you to perfect or learn new longboarding techniques. The cross step, noseriding, drop-knee turns… This clinic is run by a ISA level 2 instructor and is a fully accredited ISA surf school. Guests at the longboard clinic get a choice of private accommodation and free car hire. If you are an experiencd surfer looking for more challenging waves then stop wasting time driving around looking for that perfect uncrowded break and join one of our Winter Surfaris. Profesional Surfers and Locals will give you a safe introduction to the more challenging, lesser known surf spots in Lanzarote and the outer islands. Whatever your preference, short and hollow or long and mellow, you’ll find it in Lanzarote with the help of a local guide. There are 2 choices of Surfing holiday accommodation available in La Caleta de Famara.In La Caleta de Famara you can stay in our communal Surf House which is centrally located a short walk away from the main peaks and local amenities. This option is ideal for single travellers.If you prefer a bit more privacy and are on a surf clinic, then you can choose to stay in one of our private 1, 2 or 3 bedroom Apartments also in the village of La Caleta de Famara. All apartments are again centrally located within short walking distance of the beach and local amenities. The quality and diversity of the waves, the pleasant climate all year round, excellent tourist facilities and short flights times from most European cities combine to make Lanzarote a suitable destination for all levels of surfers all year round.Experienced surfers will find a wide range of challenging waves from October to April when powerful Atlantic swells produce heavy, consistent waves with near Hawaiin power on the reefs and points dotted around the north west and north east coastlines. There’s also the outer islands of La Graciosa and Los Lobos to explore plus some hidden gems!People new to surfing and beginners will prefer the waves in Playa Famara that typically break over a sandy bottom and are mellower than their couteparts especially during the summer months from May to Sept. Intermediate surfers will find more challenging conditions in the Autumn time from Sept. onwards.